So i received one of these Bushido's from a friend who bought it at a LCDH in Japan. The other came from an online sale. Which do you think is real, or both? Did they make two versions of the bands? Sorry, what differences are you seeing in the bands? 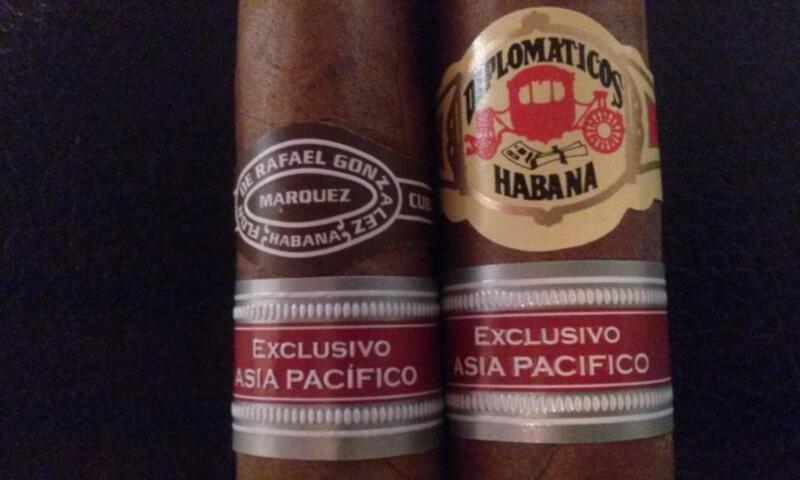 is it just how the dip print is a little mis-aligned on the band, I would think thats pretty standard fair for Cuba. Look the same to me. I.e., both real. In the regional band, one has a tilde over the i in pacifico. I also notice the regional band "dots" are more muddled together on the one i suspect to be fake. Since the price on these has skyrocketed, it would make sense that they be counterfeited. But this is the first claim I've seen of anyone being inquisitive of the validity of this cigar. The actual printing is embossed in both RE bands, right? The one on the left doesn't look like it, particularly in the last picture. That would be a dead giveaway. Well, the difference in embossing along with the tilde over the i, which my Bushido's do not have, I'd say you've got a fake there. And a pretty good one at that. wow!!! sharp eyes indeed. Hats off to you Sir. With fakes and the fact that China is now very much involved, the really surprising thing is that they are not already at a point where you just can not tell at all. 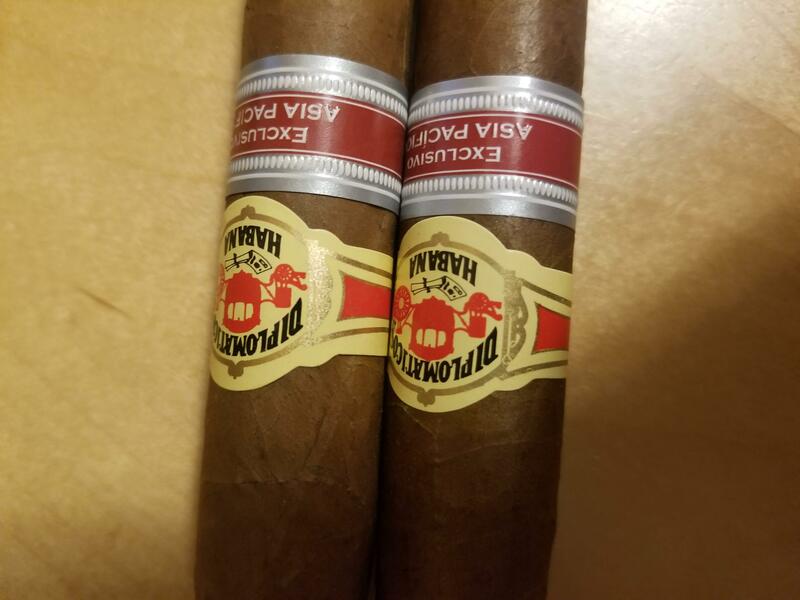 Then the cigar pictured in CCW is fake? It has no tilde. If I can dig out mine, I'll take a look and post a pic. How much does a box of Bushidos go for nowadays? 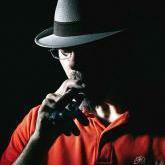 Then the cigar pictured in CCW is fake? It has no tilde. So odd. In all these years, I have never noticed the tilde in the RE band. And FWIW. I dug up a fiver of Bushidos. No tilde. So, what's going on? Are we seeing inconsistencies within the RE band over the years? Or have AP fakes been in the channel a long time? With everthing they've tried to do to deter counerfeiting, such a minor thing can make for a major monkey wrench. P.S. this could be a job for FoHrensics! It's seems likely that they have leftovers depending the Release's RG? The inconsistency is maddening. "Cuba being Cuba" is a cliche' and a potential window for abuse by counterfeiters. I think the Bushido WITH the tilde is fake. 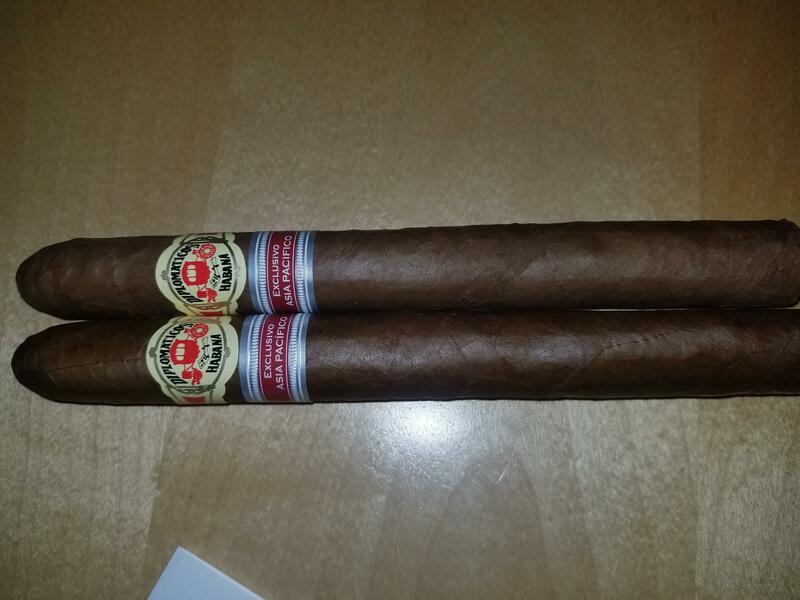 The original habanos pictures do not have a tilde. However, I can clearly see other regionals later on do have the tilde. Maybe they changed it halfway through production or something, but I doubt it. I'm inclined to think the tilde version is fake... So watch out people! I've seen these in a few very popular Instagram accounts. I think the Bushido WITH the tilde is fake. 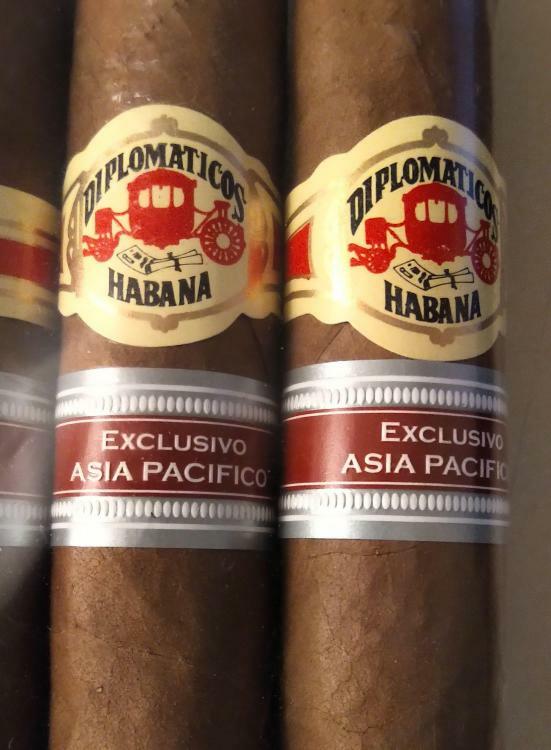 The original habanos pictures do not have a tilde. However, I can clearly see other regionals later on do have the tilde. Maybe they changed it halfway through production or something? Hard to say. The Bushido release, like many recent ones, has been staggered. A few boxes in 2014...more in 2015..maybe in 2016? The holds up could be a few things. Tobacco supply related. Packaging related. For instance. IIRC Cohiba 1966's were delayed because they couldn't get enough boxes made for launch. Well this got crazy fast. If one of those is fake, its the best fake I've seen to date. I'm still not certain it is fake. I wasn't lucky enough to get a full box of Bushido myself, but I did pick up a few singles from Rob. One is pictured below next to a Rafael Gonzalez AP 88 RE, also from Rob. No accent mark on the Bushido, no tilde on either. (this is a tilde= ~) there IS an accent mark on the Rafael Gonzalez though. I'm guessing there was a change at some point in the printing of the bands. The question is when. Well, it seems every other Bushido posted in this thread so far, including mine, does not have the accent mark on the RE band (BTW very good point on the tilde 😅), so for now I'd definitely bet on it being fake. 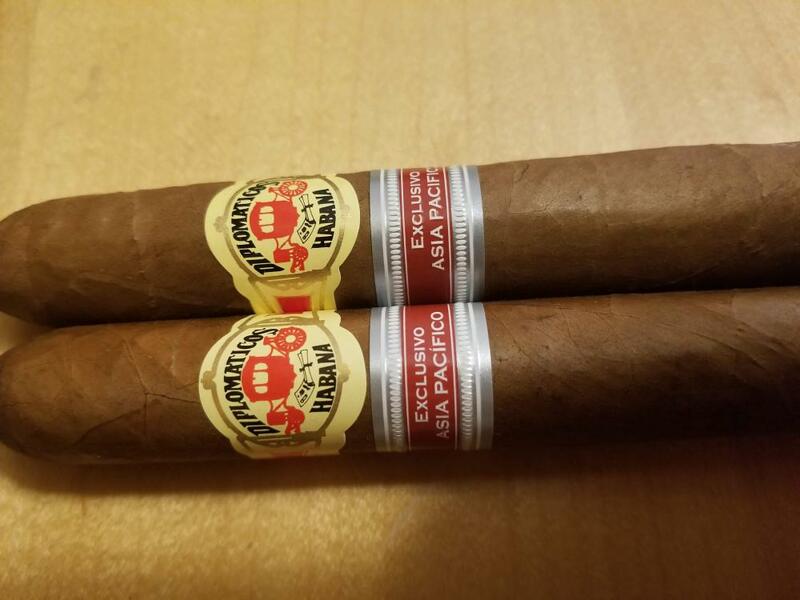 I mean, how hard would it be to remove a band from another AP RE like the RG 88 and reattach it to a 109 cigar with a similar quality wrapper? Singles, OTOH, are much easier - and if you're on FB groups you're most likely aware of a recent surge of LEs and REs that appear to be, in some case, the reuse of bands from other cigars. 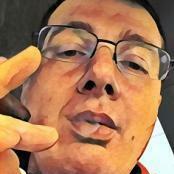 Granted it's a lot more effort but, if you're running a small operation and choose your cigars carefully, it's most assuredly a profitable one. I'm guessing there was a change at some point in the printing of the bands. The question is when. I'm not sure there will be a distinct time - as I mentioned above, the RA Estupendo pic on the CCW does not have an accent, whereas the pic I posted does. REs is rarely faked. It could be a private seller for a couple hundred bucks. Try to weigh both and compare. The last chance to know the truth - tasting both. Also good point on the accent mark - not tilde! Aficionado often organize competitions-tastings without bands, who can guess the brand. But the fake can usually be guessed by the smell without lighting up. could it be as simple as that they have a couple of printing machines and one has the wonky 'i' and one does not? Occam's razor, right? In this case, though, I personally doubt it - it's just too easy to replace the bands.